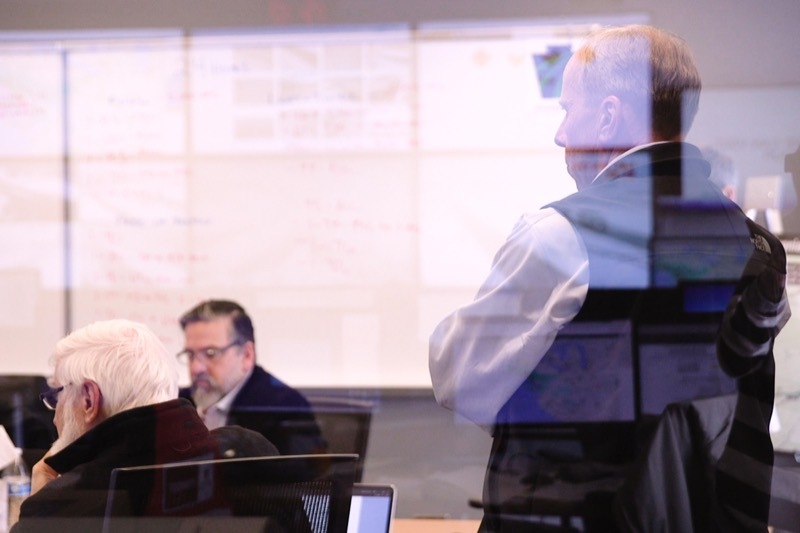 With a weather system forecast to continue to impact wide areas of the southern and eastern half of Pennsylvania with snow through Wednesday, Governor Tom Wolf visited a PennDOT maintenance facility in Philadelphia this morning to provide a storm update and to thank PennDOT workers for their dedication to keeping roads clear and safe. 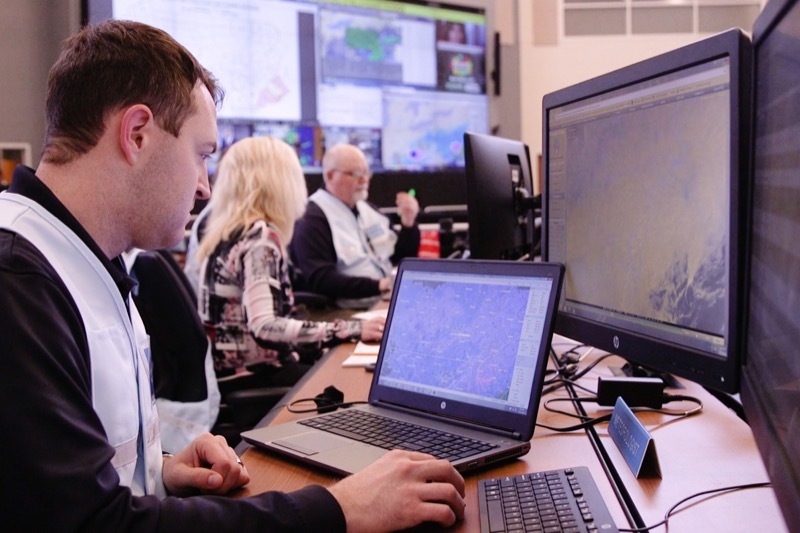 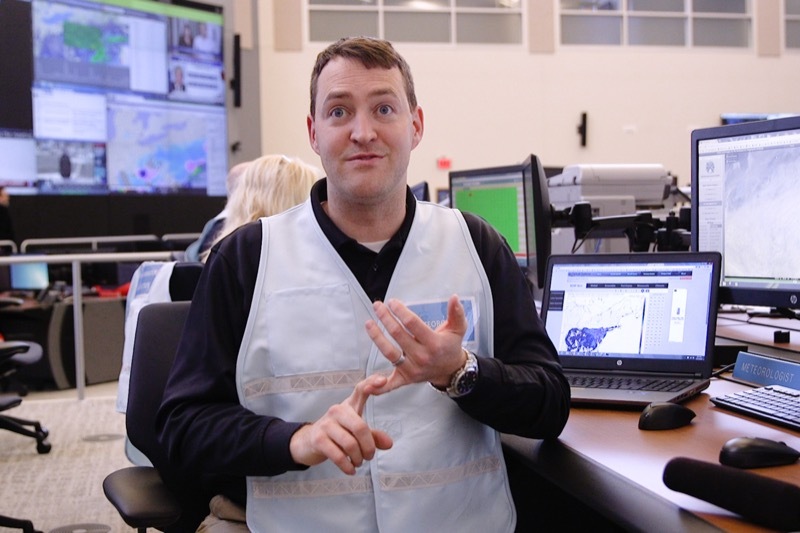 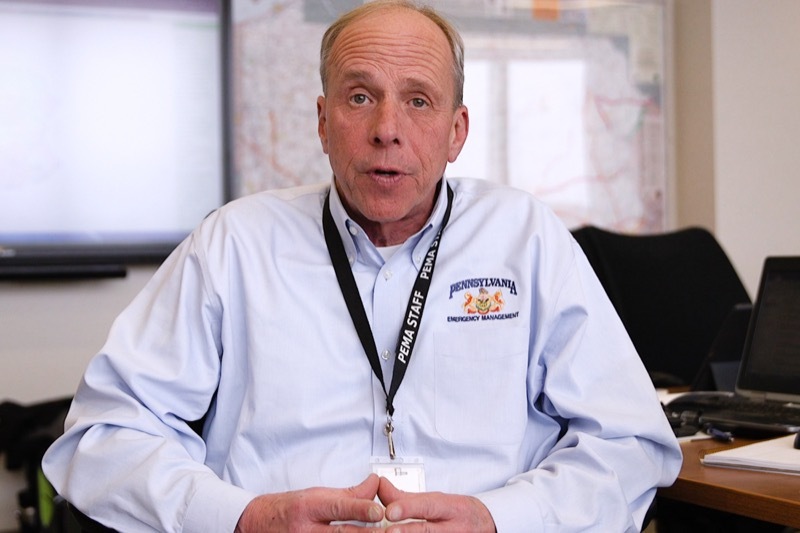 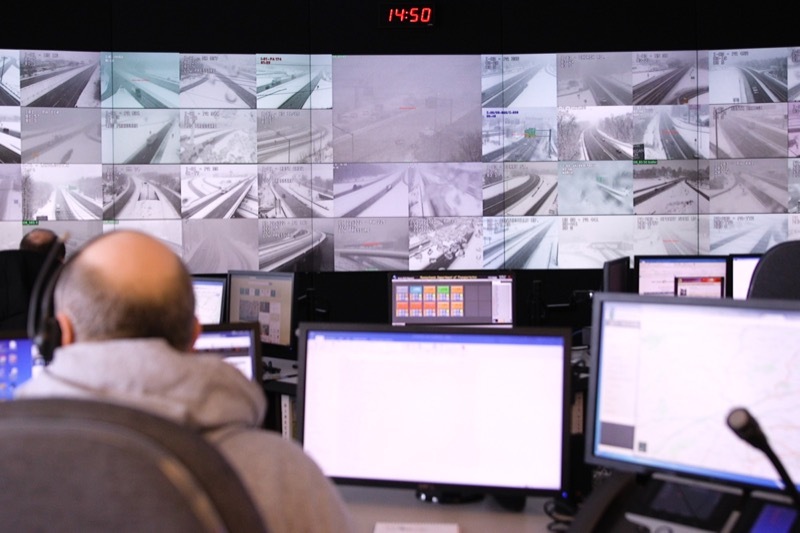 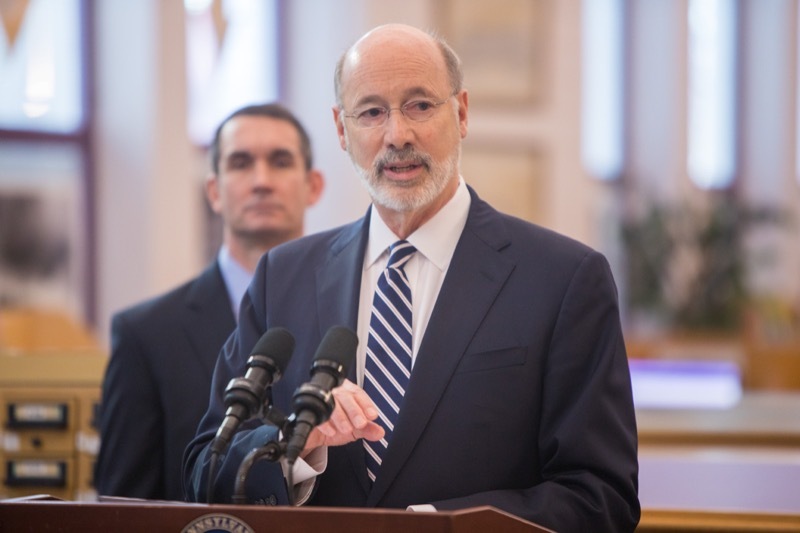 As the weather system bringing significant snow across much of southern and eastern Pennsylvania continues through the evening hours, Governor Tom Wolf and officials at the Pennsylvania Emergency Management Agency (PEMA) provided a second storm update for Pennsylvanians in the storm's eastward path. 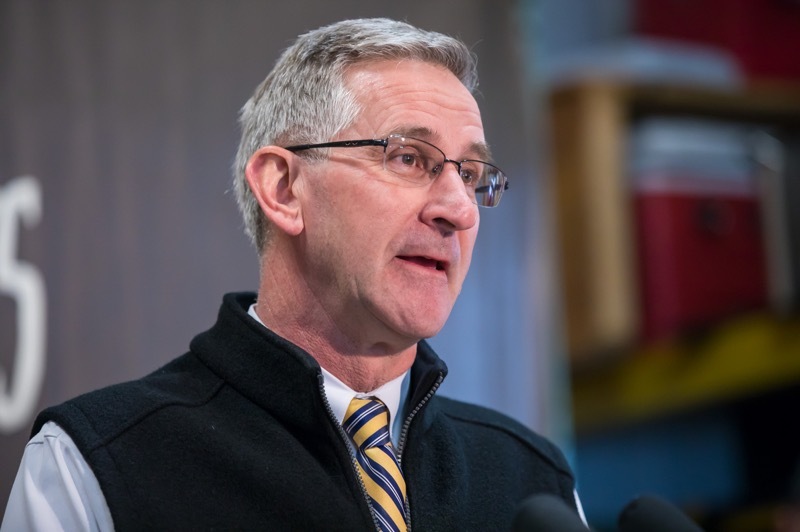 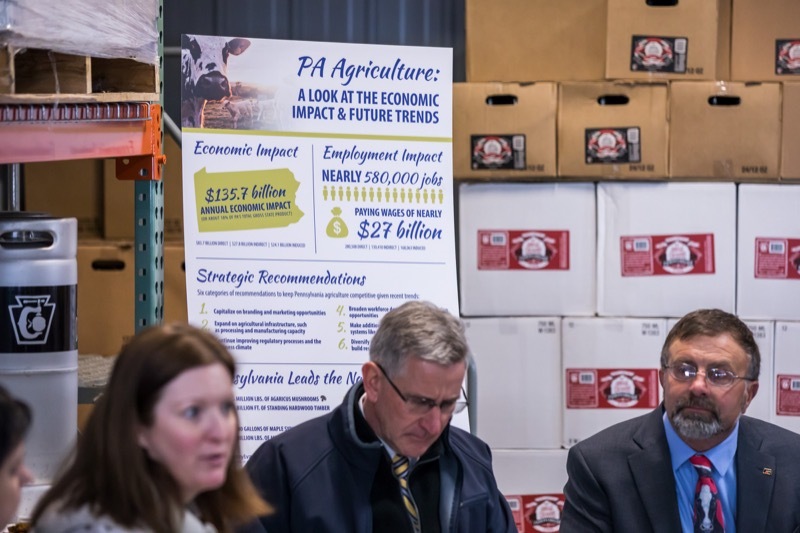 Secretary of Agriculture Russell Redding today feted the agriculture, cider, and apple industries for their impact on the commonwealth at a National Ag Day celebration in Adams County. 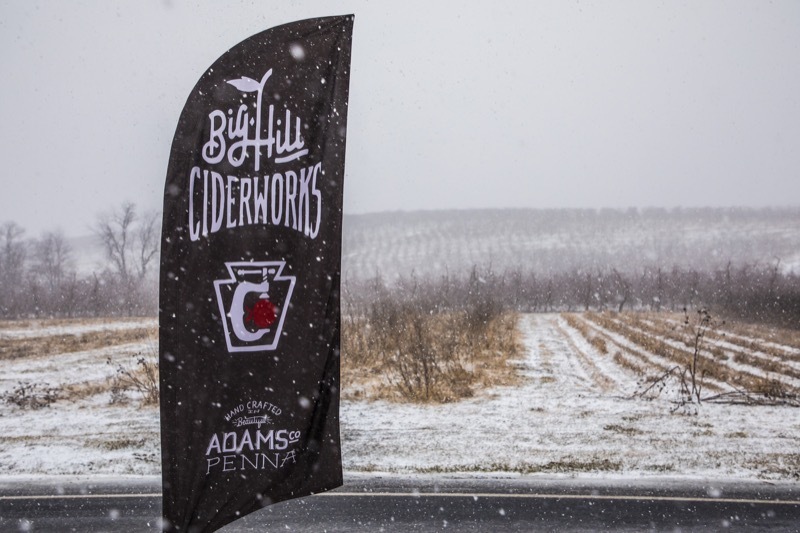 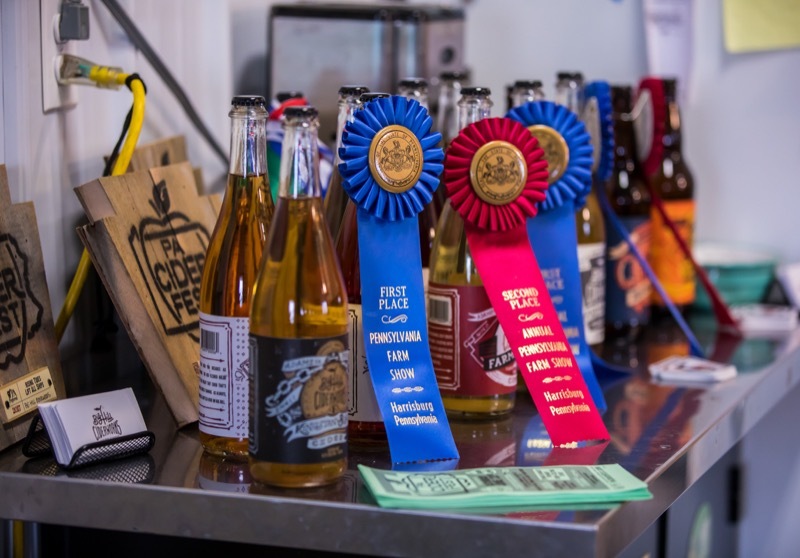 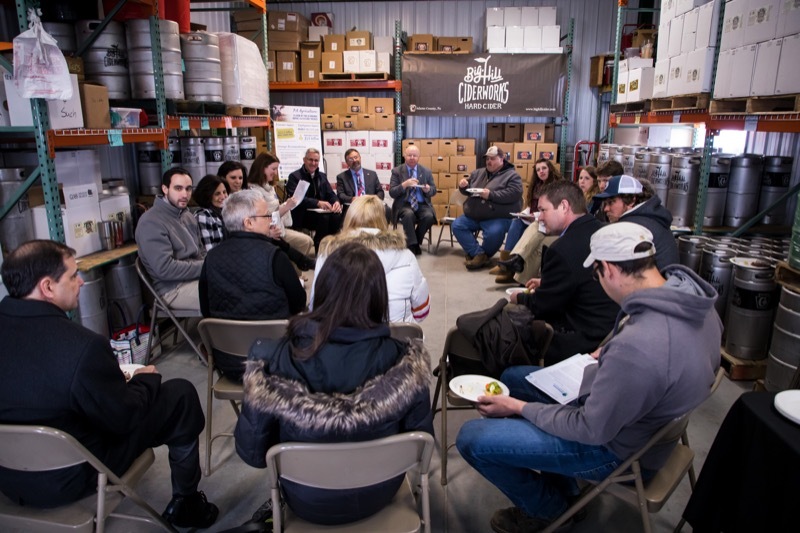 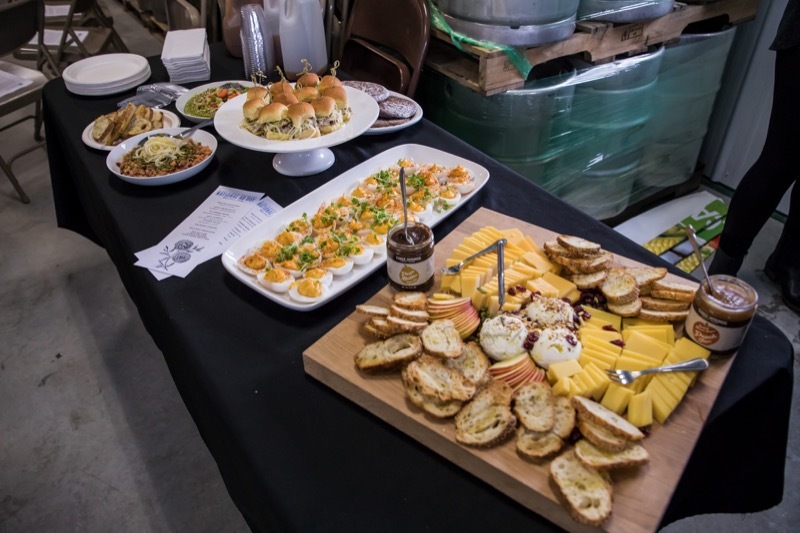 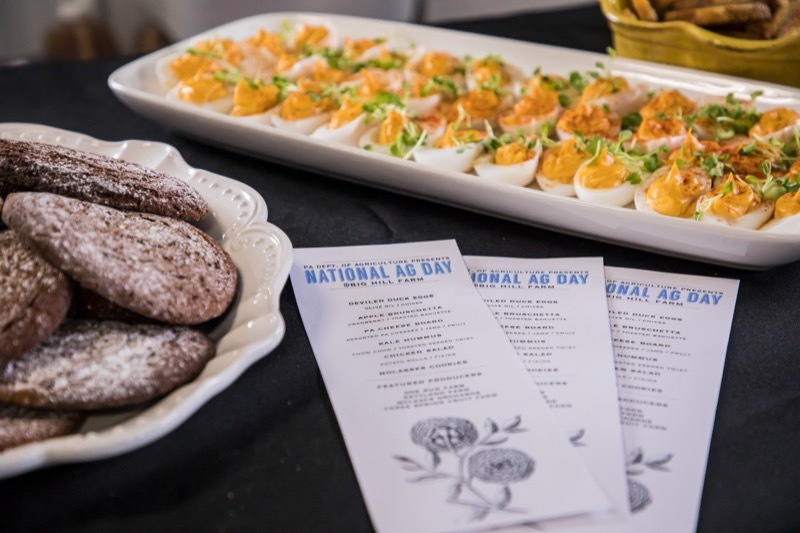 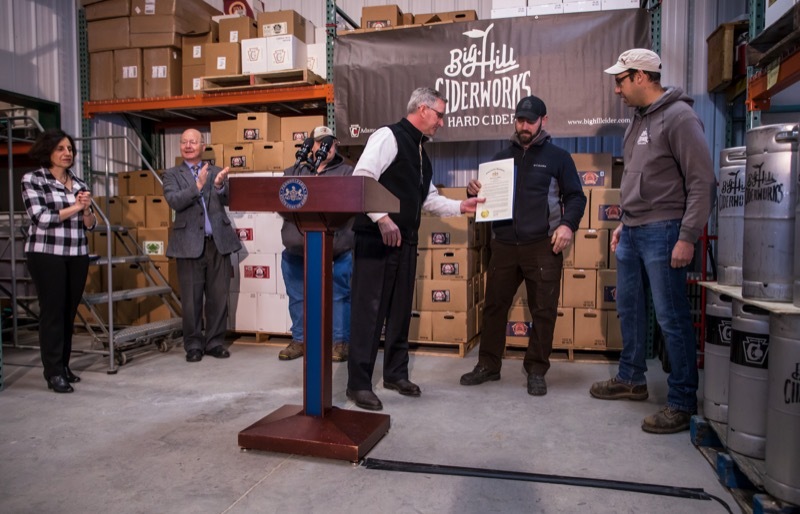 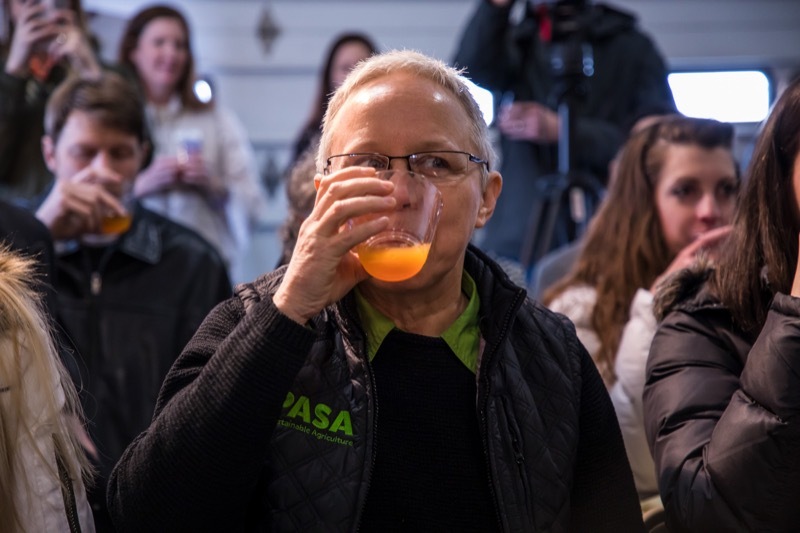 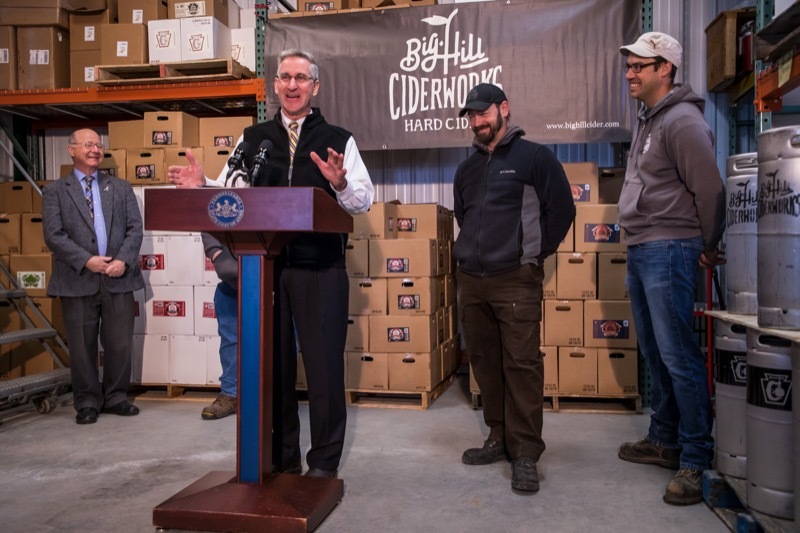 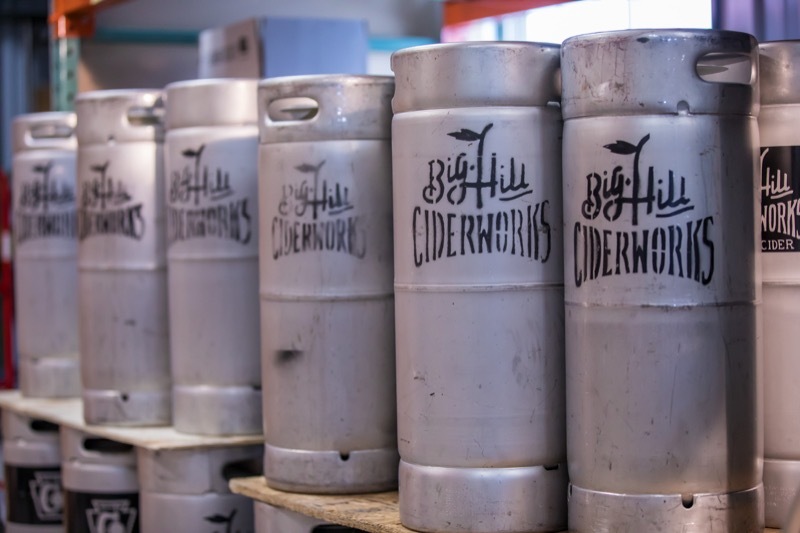 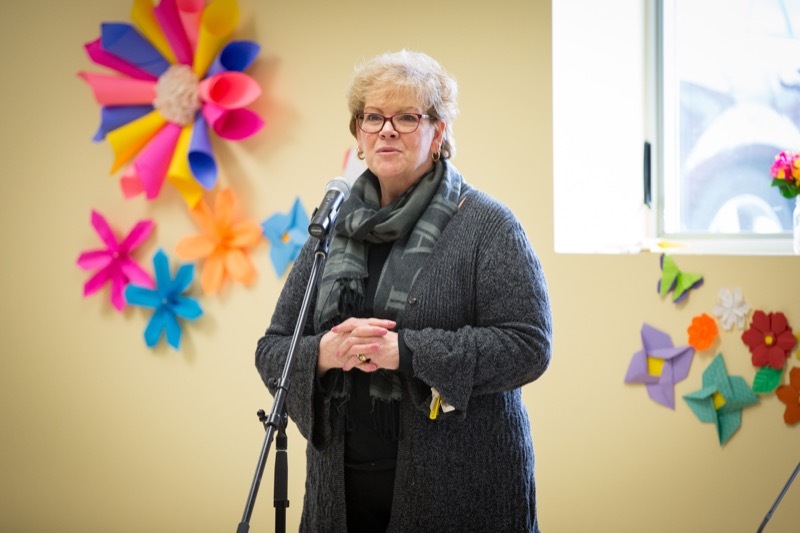 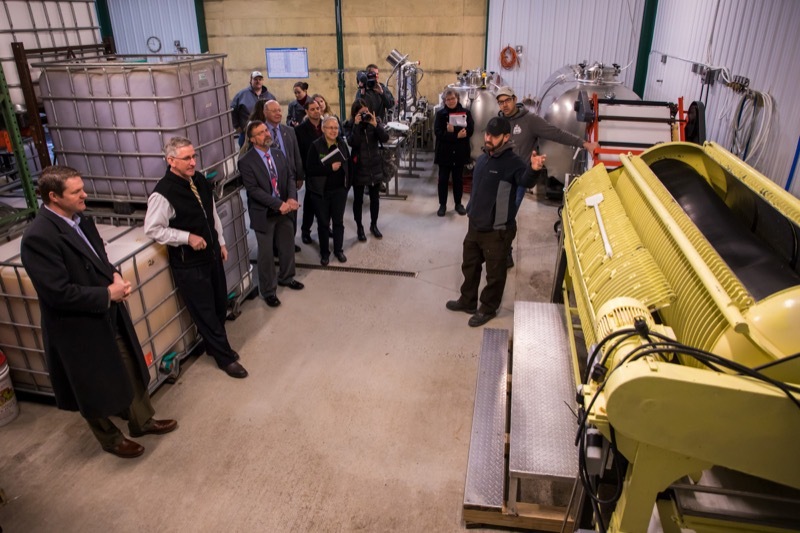 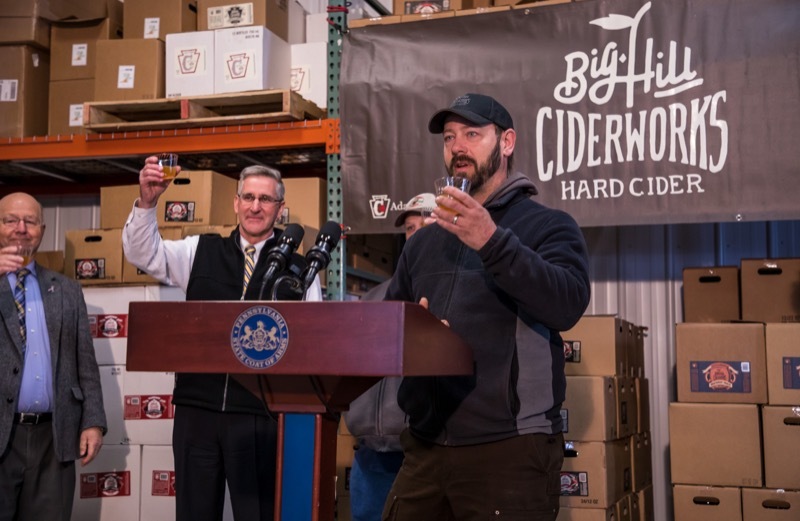 The event, held at Big Hill Ciderworks, highlighted the emerging high-value industry of cider production, and the important role played by apple and fruit production. 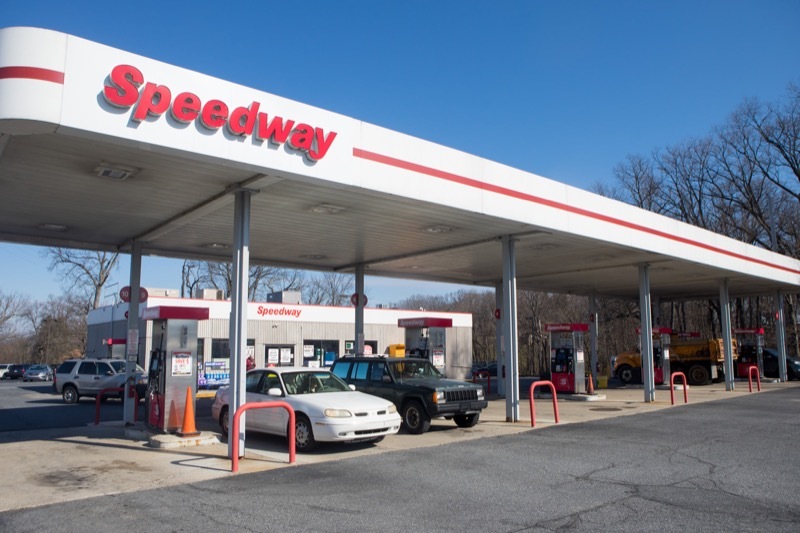 Middletown, PA - The Pennsylvania Lottery today congratulated Speedway, 675 Lancaster Road, Manheim, Lancaster County, for selling the jackpot - winning ticket from the March 17, 2018, Powerball drawing. 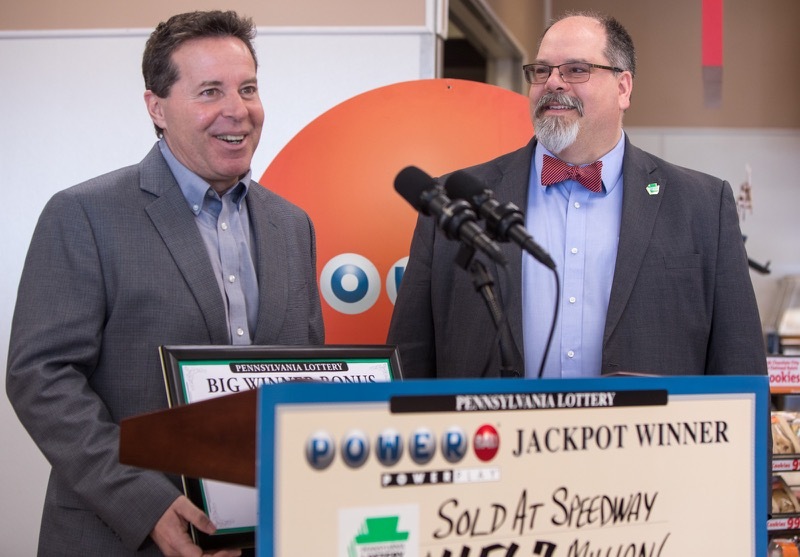 The ticket won Powerball's eighth - largest jackpot on record, worth a $456.7 million annuity value or $273.9 million cash, less applicable withholding. 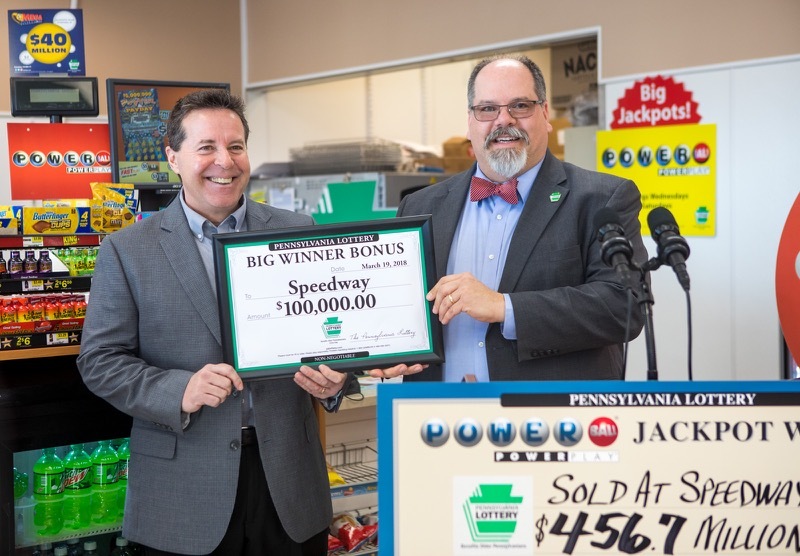 The Pennsylvania Lottery today congratulated Speedway, 675 Lancaster Road, Manheim, Lancaster County, for selling the jackpot-winning ticket from the March 17, 2018, Powerball drawing. 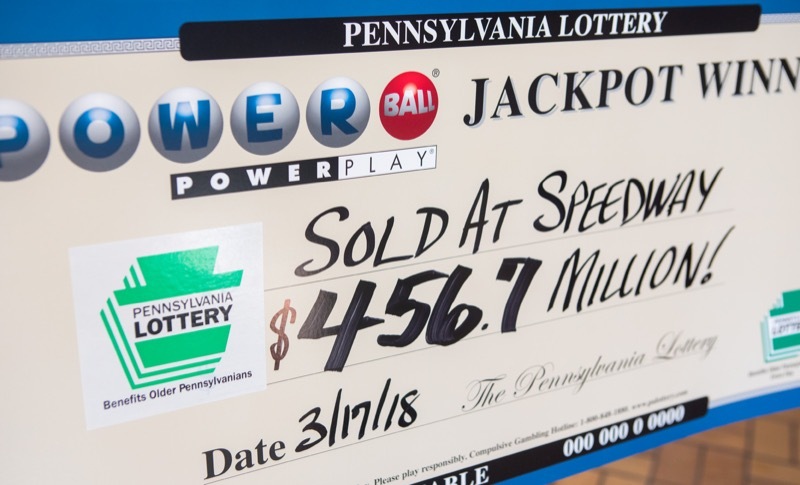 The ticket won Powerball's eighth-largest jackpot on record, worth a $456.7 million annuity value or $273.9 million cash, less applicable withholding. 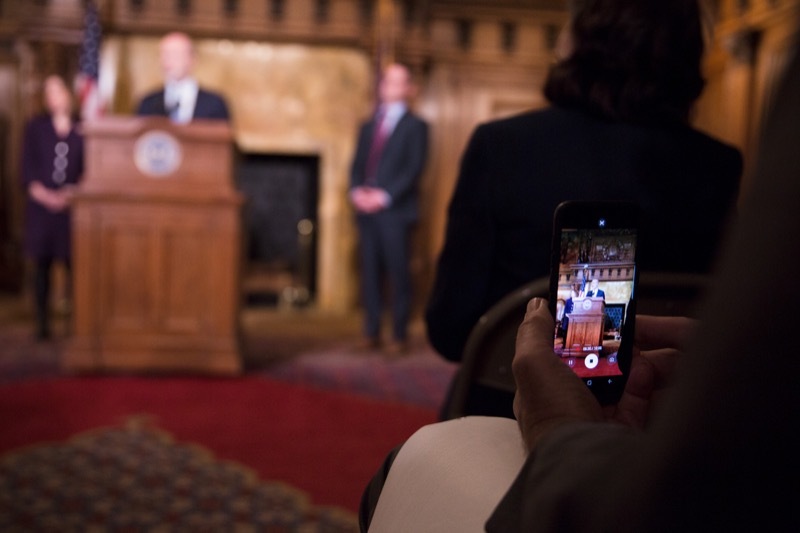 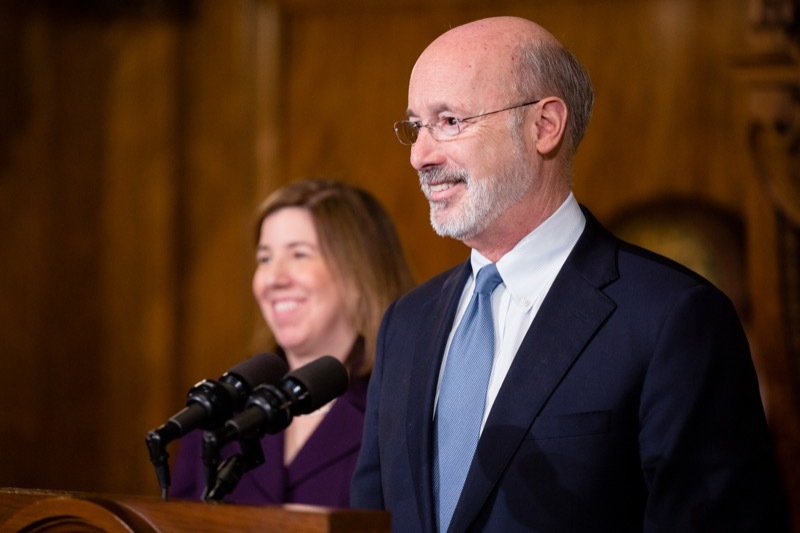 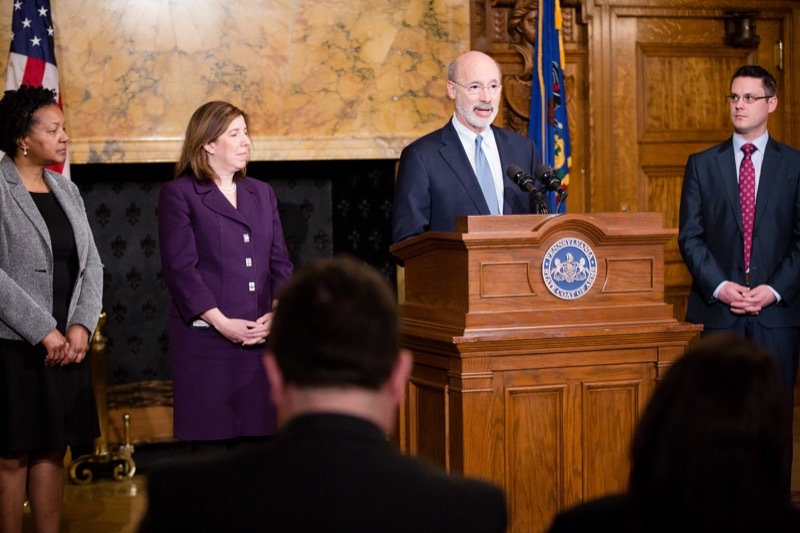 Today, Governor Tom Wolf will announce a new initiative aimed at expanding broadband access to businesses and households in Pennsylvania through the creation of a new office dedicated to ensuring every Pennsylvanian has access to high-speed internet. 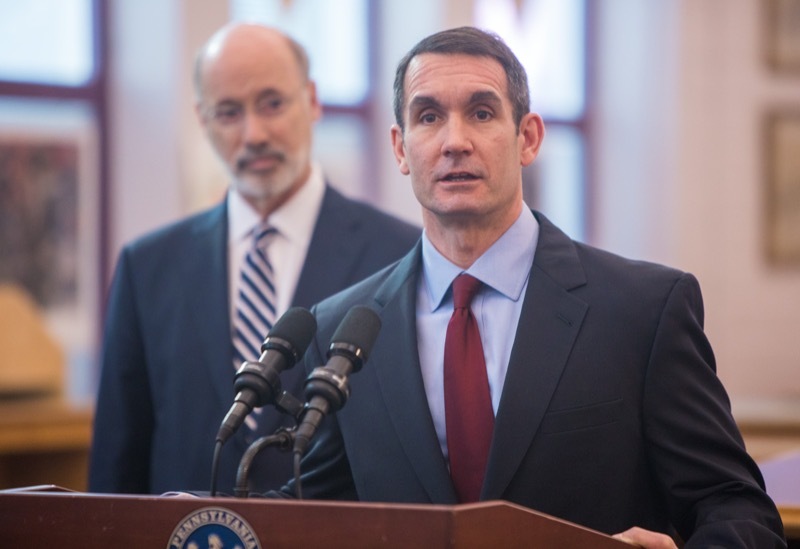 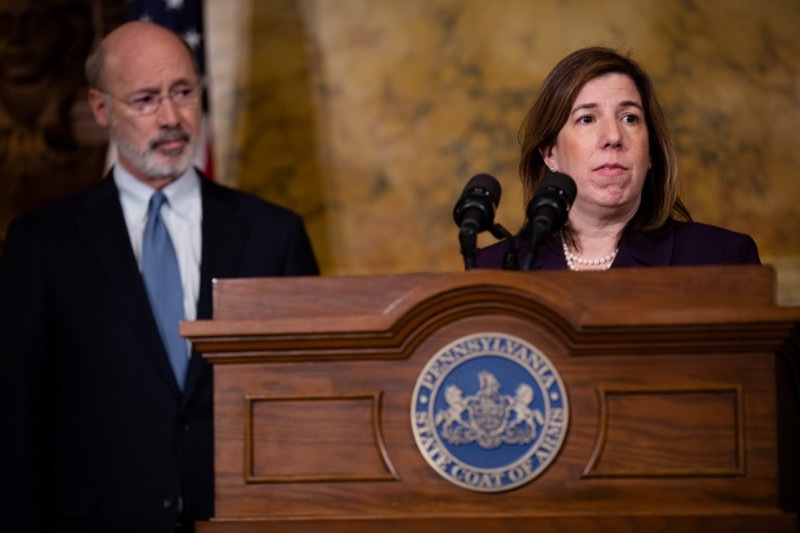 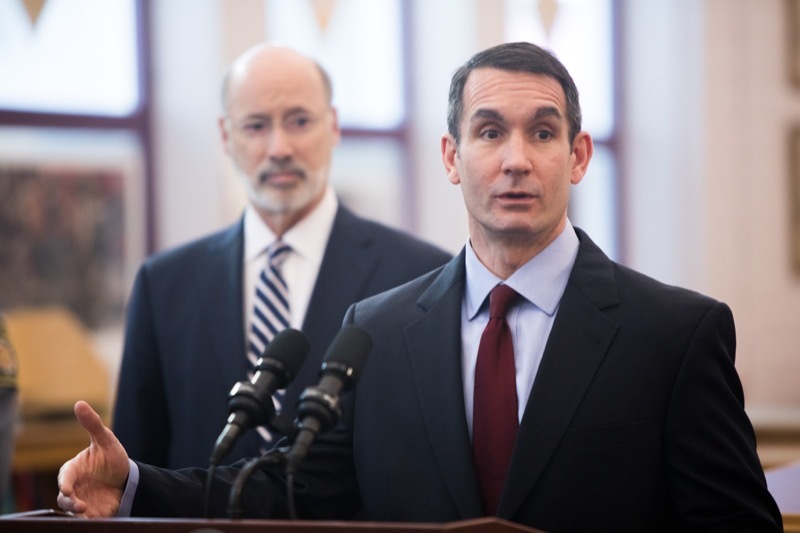 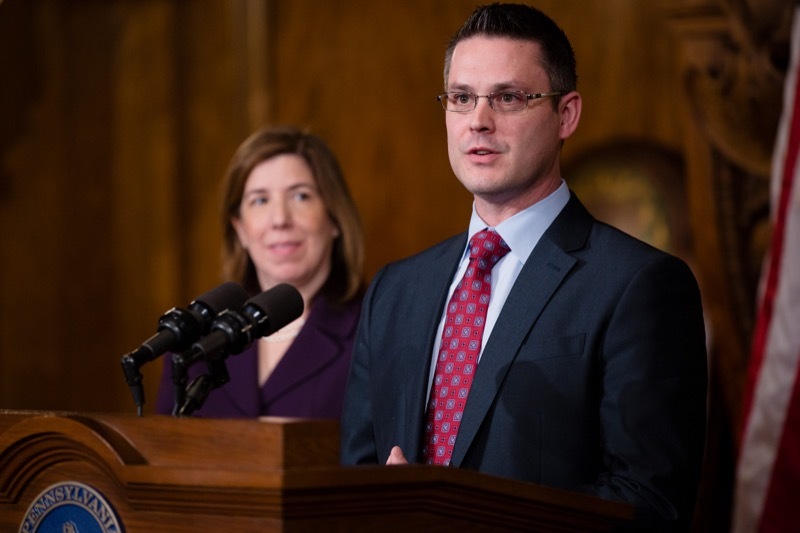 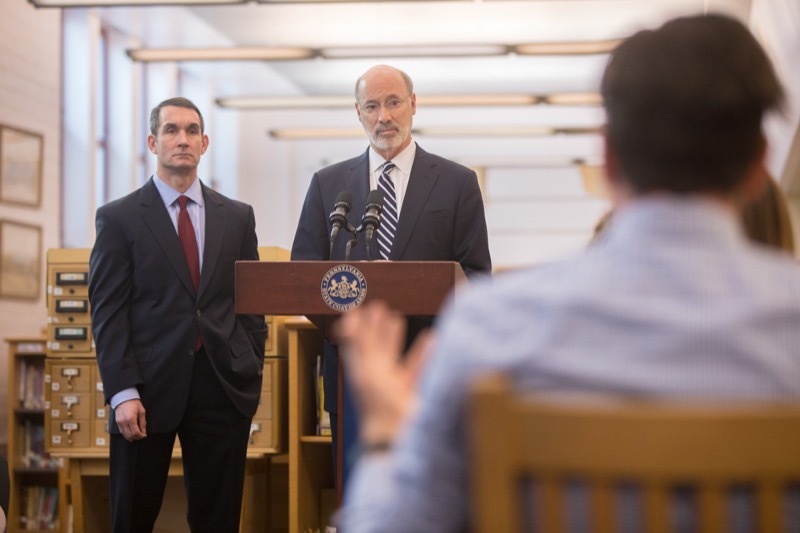 The announcement also will include the introduction of the Pennsylvania Broadband Investment Incentive Program, which will offer incentives to private providers willing to invest in underserved and unserved areas throughout Pennsylvania. 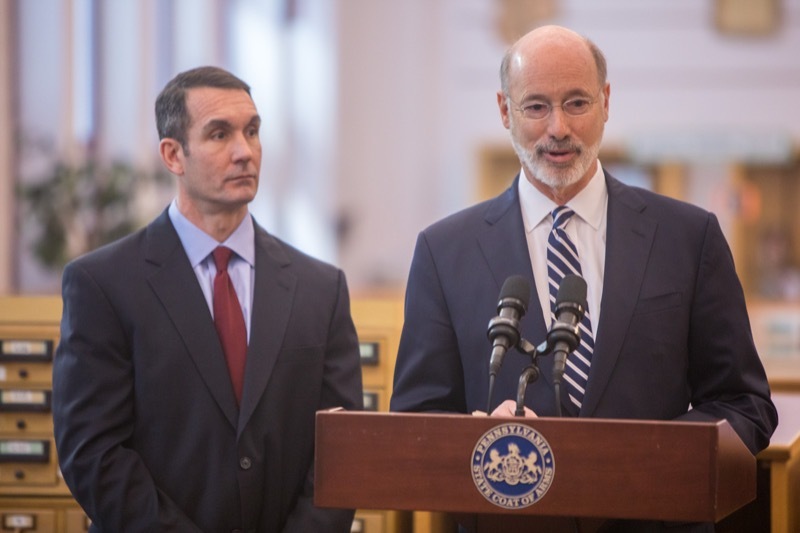 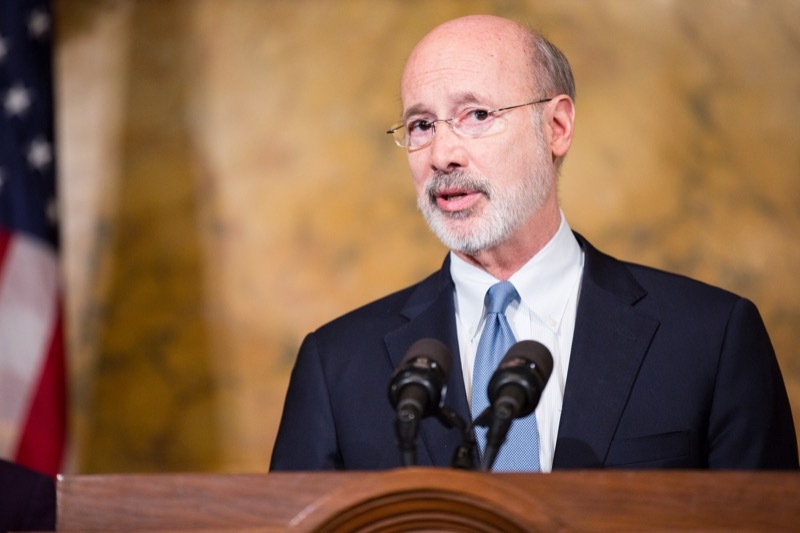 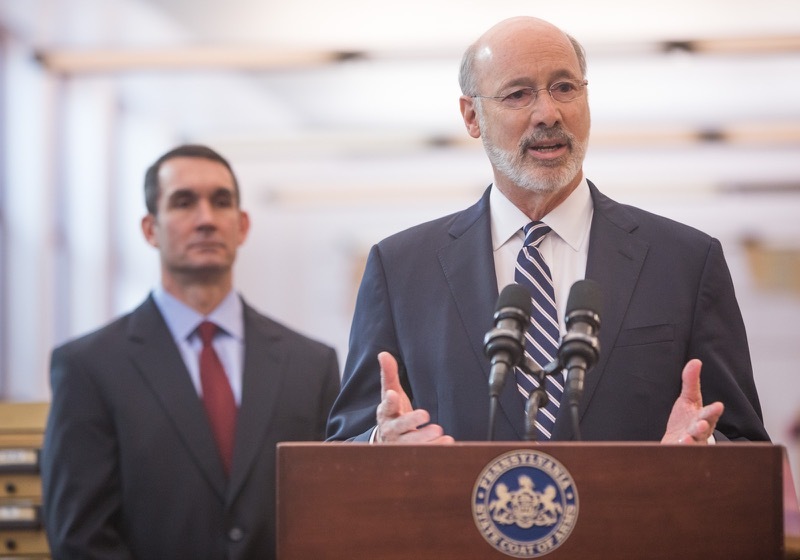 Harrisburg, PA - Today, Governor Tom Wolf will announce a new initiative aimed at expanding broadband access to businesses and households in Pennsylvania through the creation of a new office dedicated to ensuring every Pennsylvanian has access to high-speed internet. 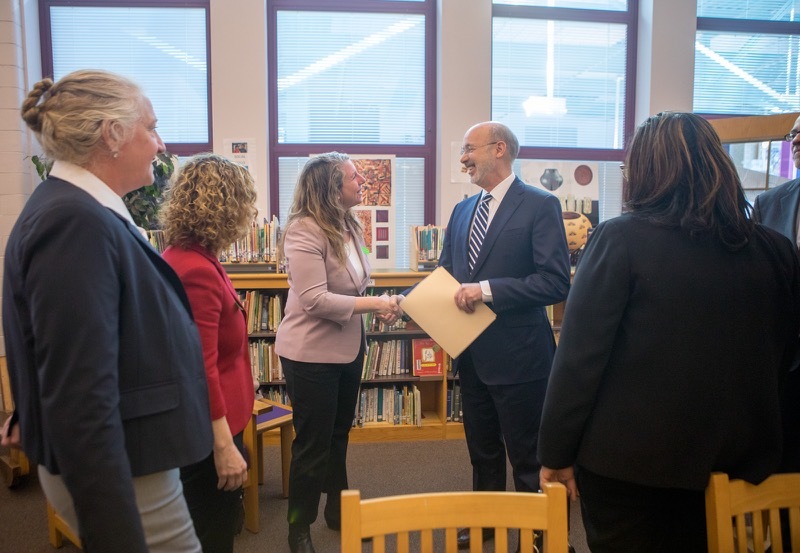 The announcement also will include the introduction of the Pennsylvania Broadband Investment Incentive Program, which will offer incentives to private providers willing to invest in underserved and unserved areas throughout Pennsylvania. 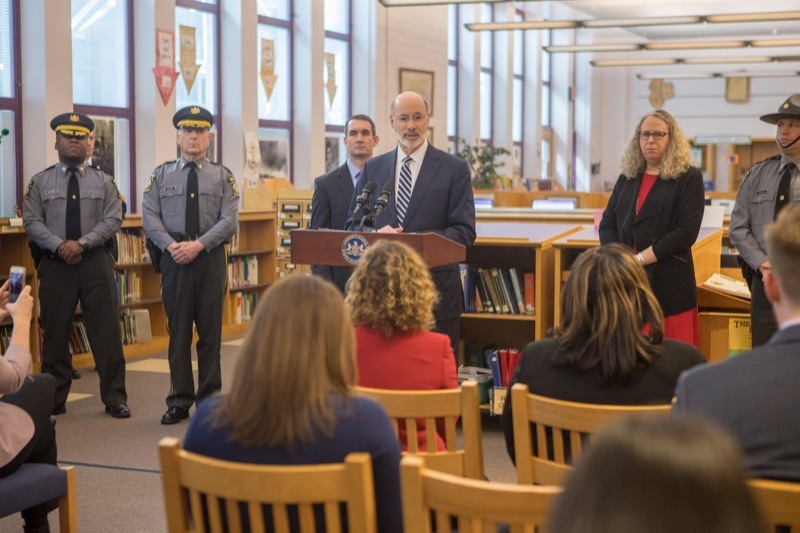 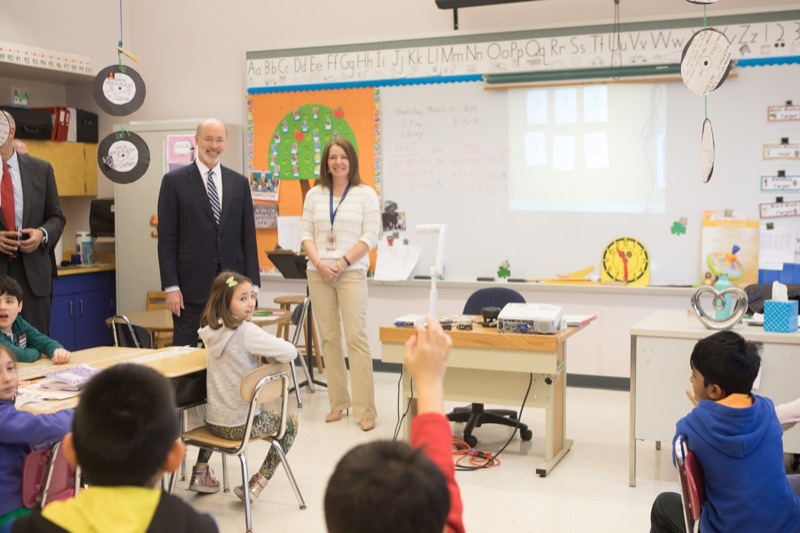 Governor Tom Wolf was joined by Auditor General Eugene DePasquale at Penn Wynne Elementary School in Montgomery County today to announce the creation of a School Safety Task Force that brings together government officials, statewide education organizations, law enforcement, community members, school officials, teachers, parents, and students to talk to about ways to improve school safety and security. 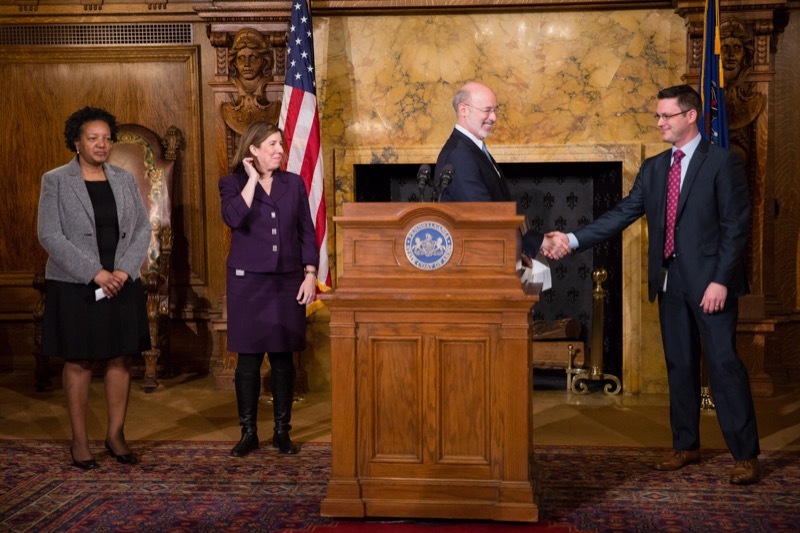 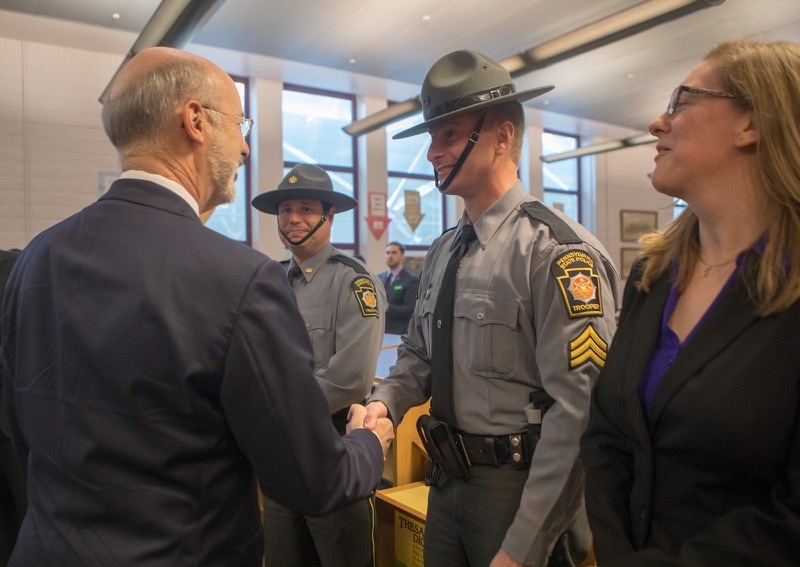 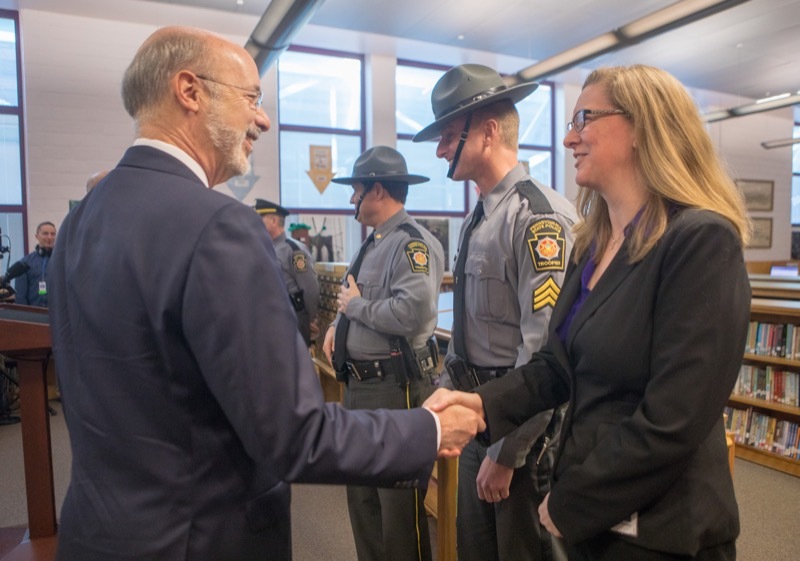 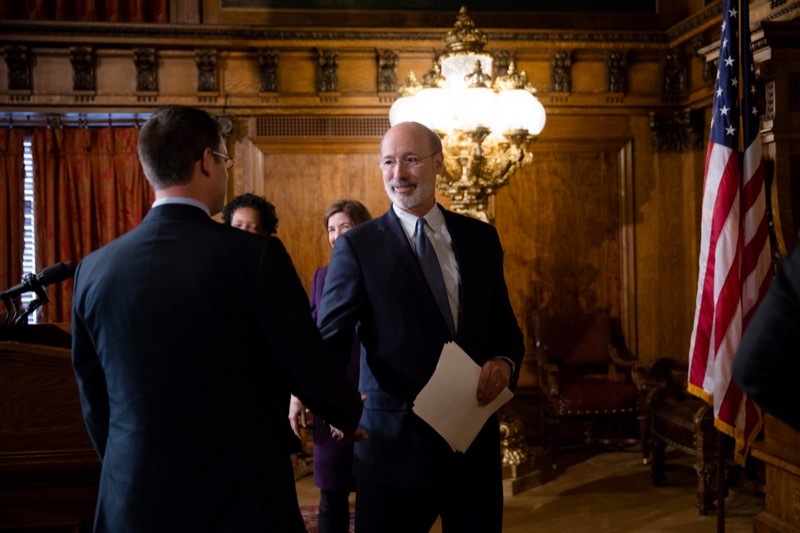 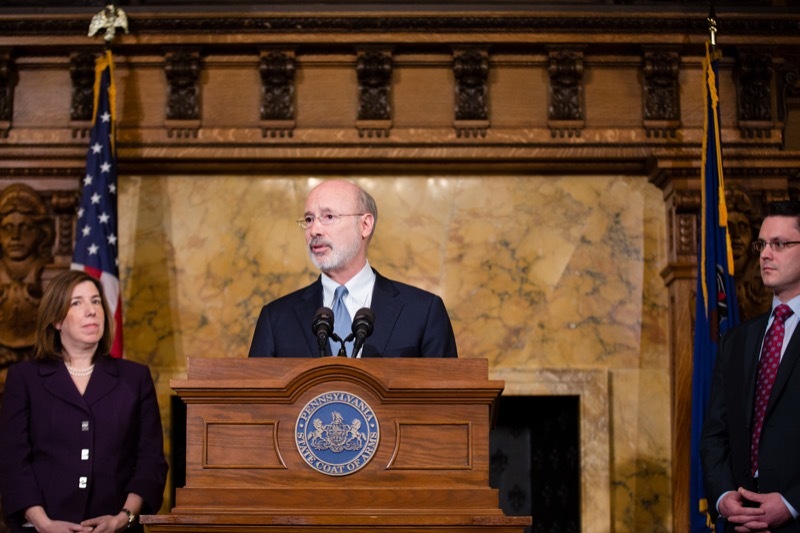 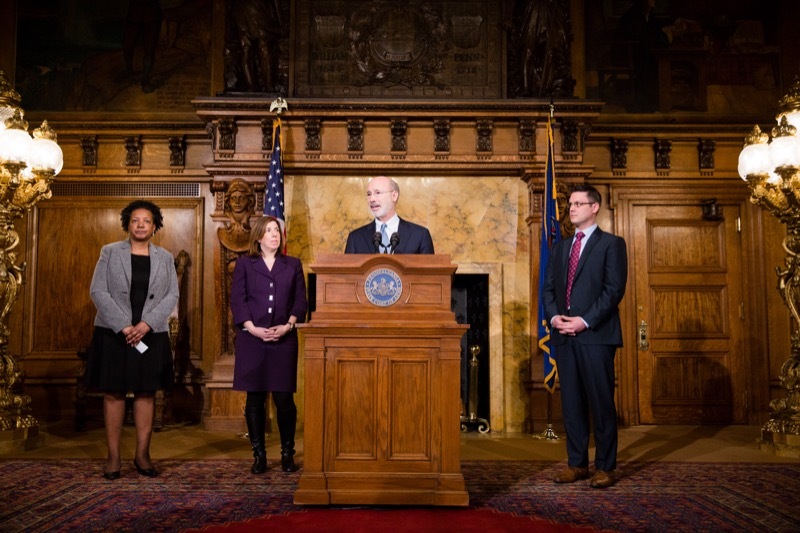 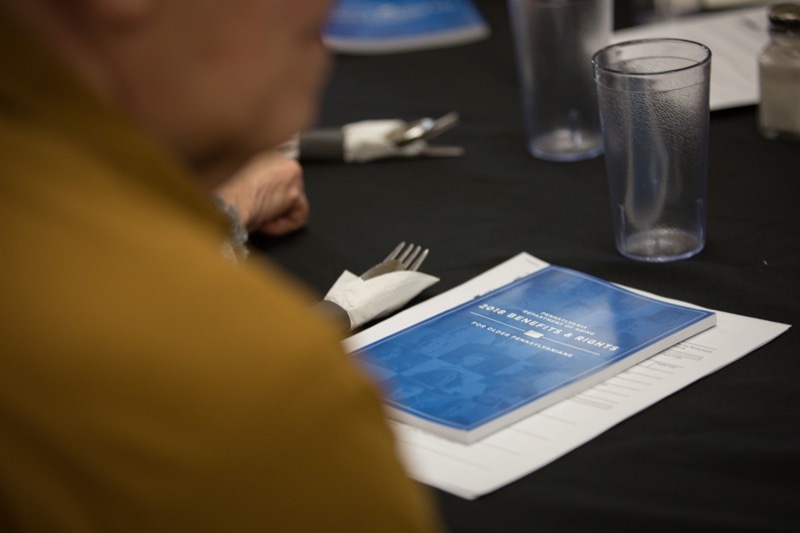 As part of his commitment to level the playing field for small and diverse businesses, Governor Tom Wolf today announced the launch of the Commonwealth's Mentor-Protege Program (MPP) for Small Diverse Businesses. 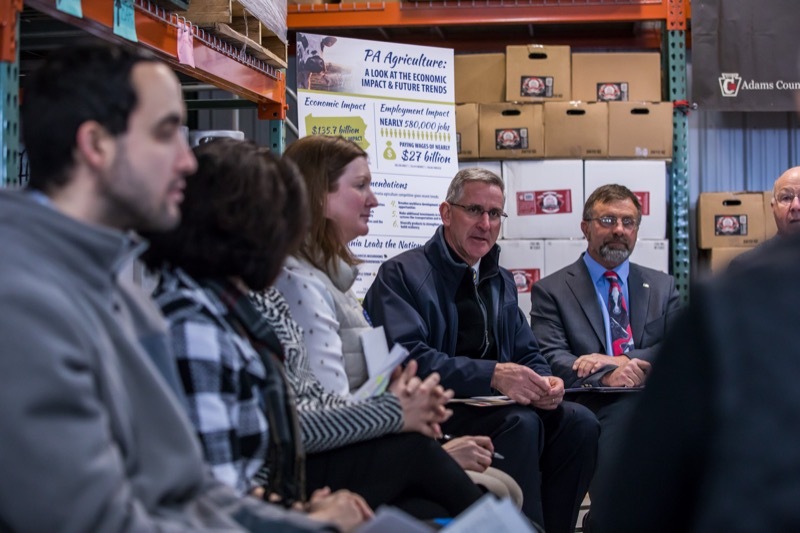 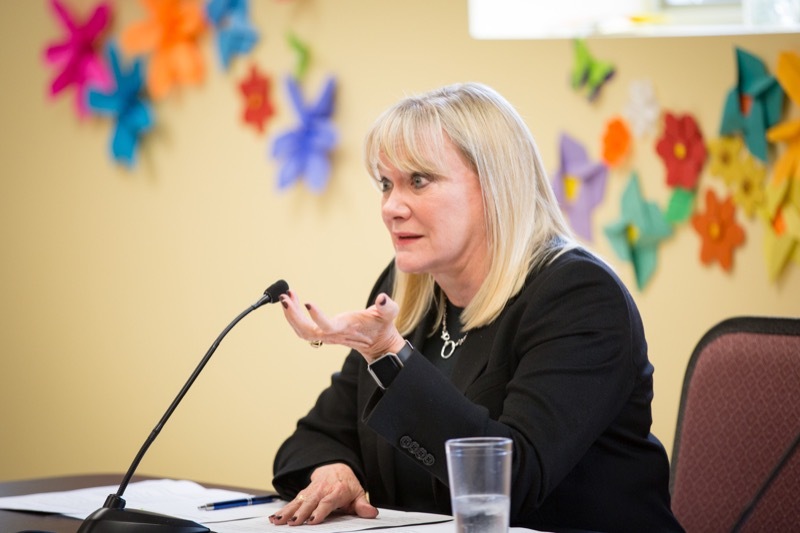 The program pairs successful prime contractors with small diverse businesses (SDBs) to better develop their technical and administrative capabilities to compete for state government contracting opportunities. 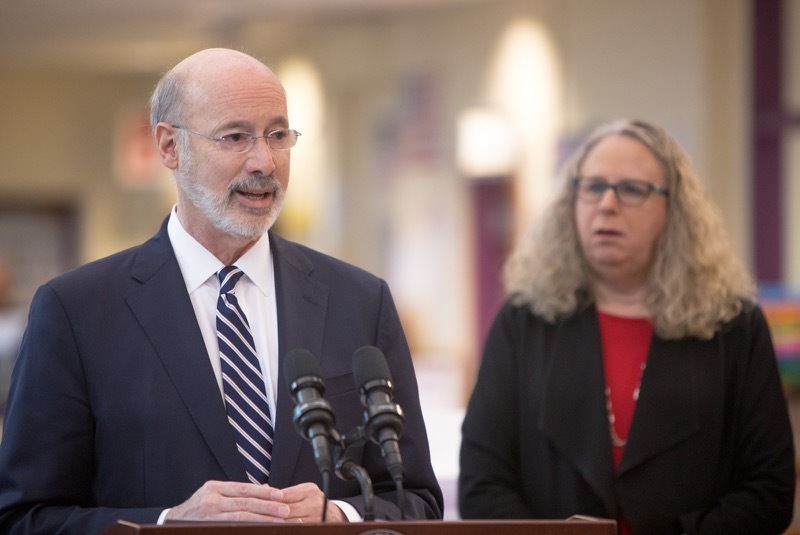 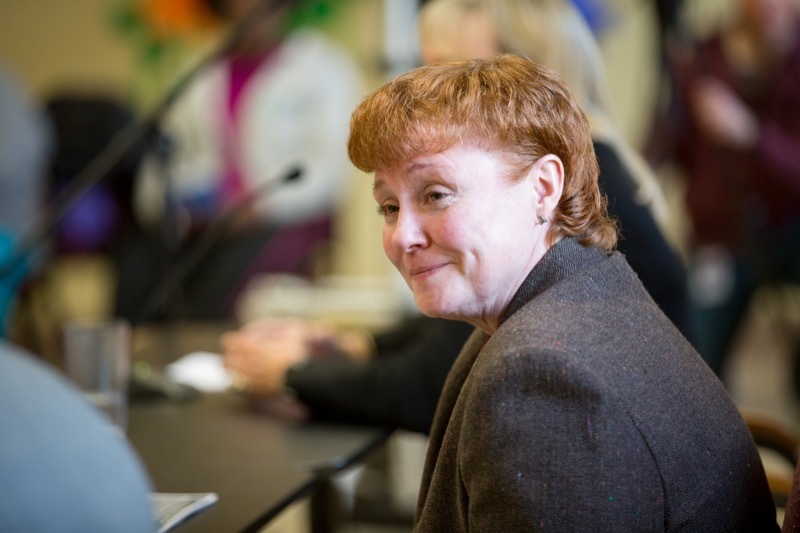 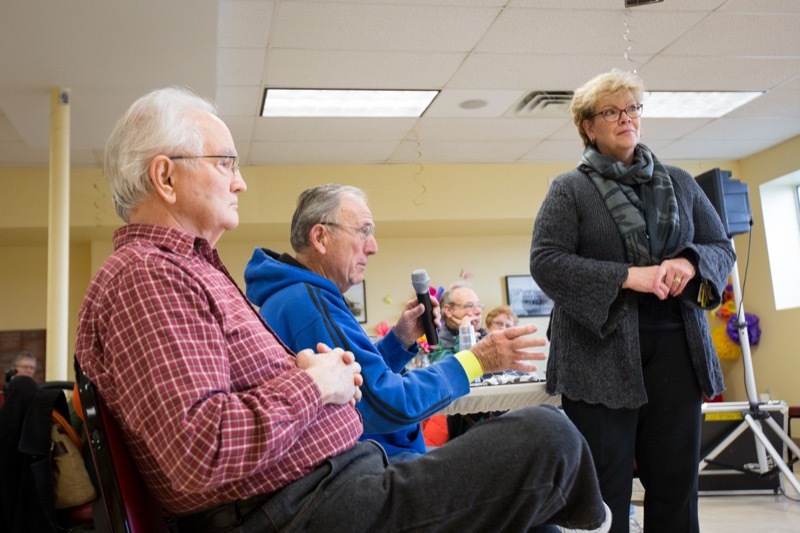 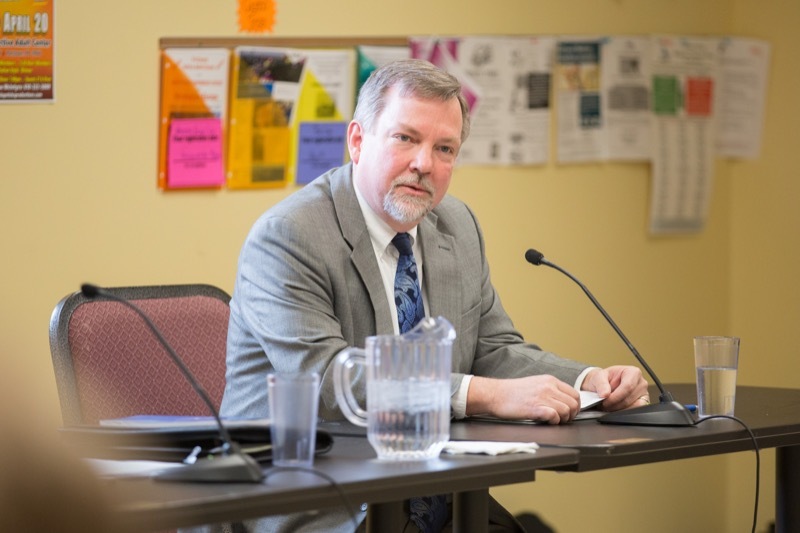 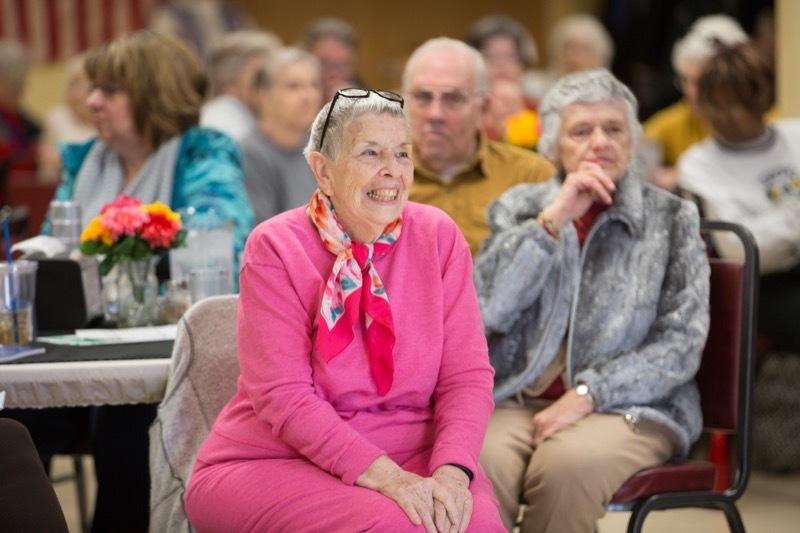 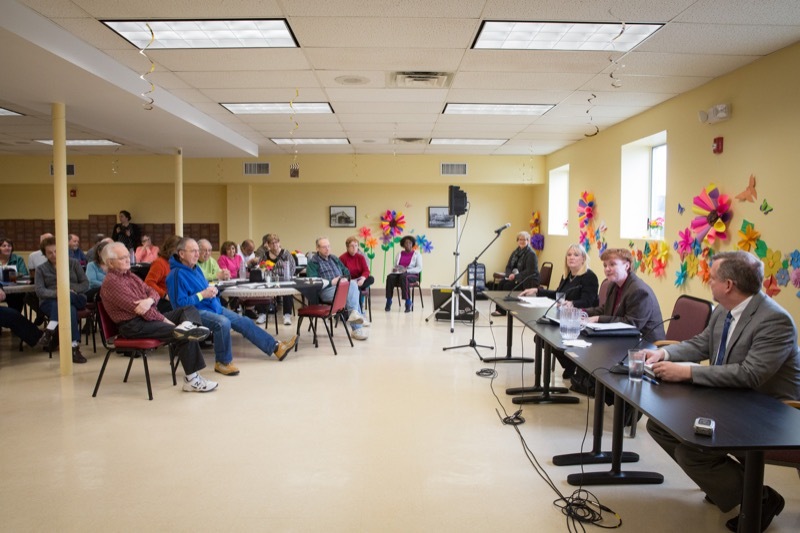 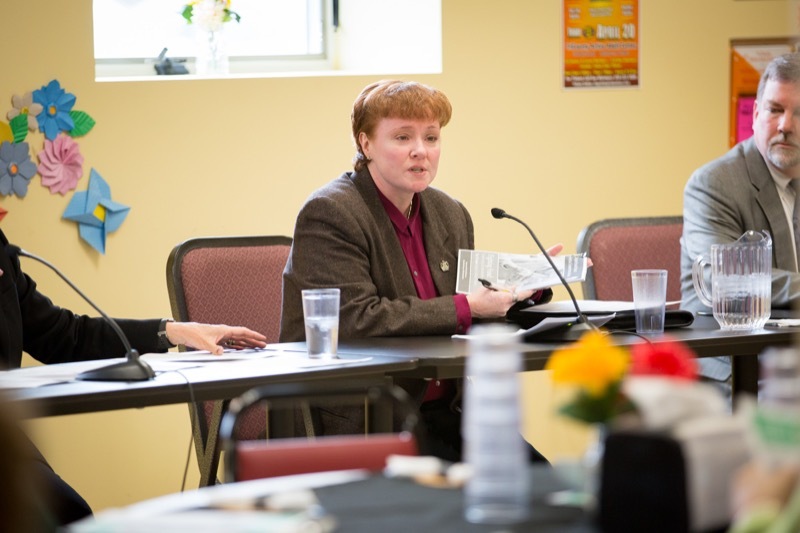 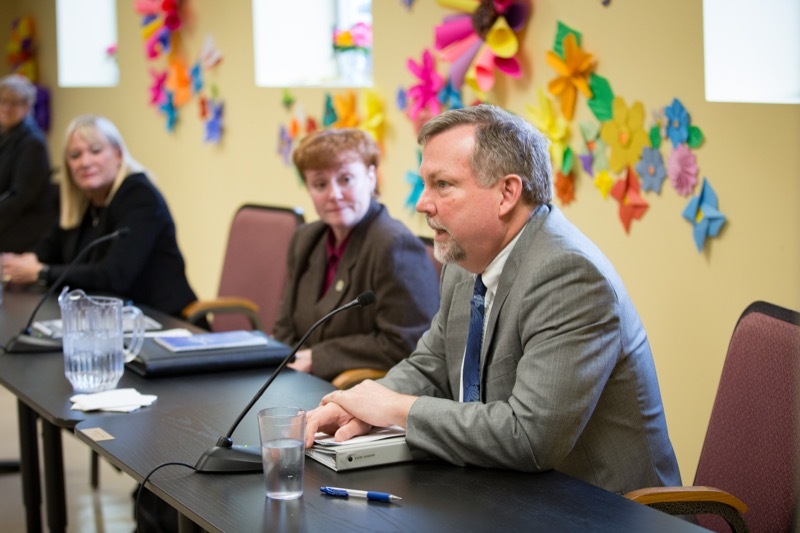 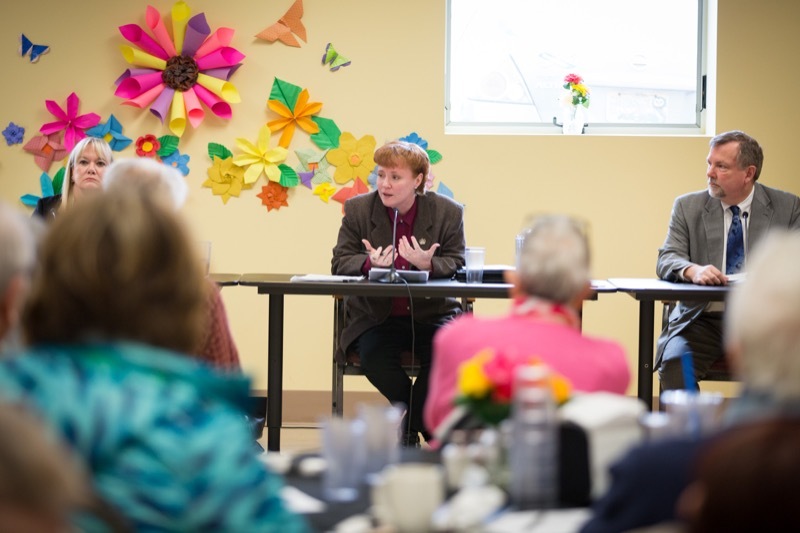 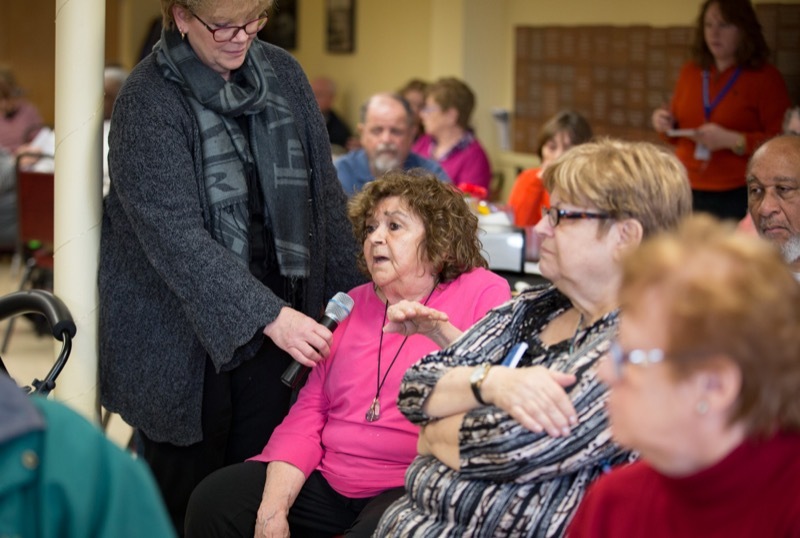 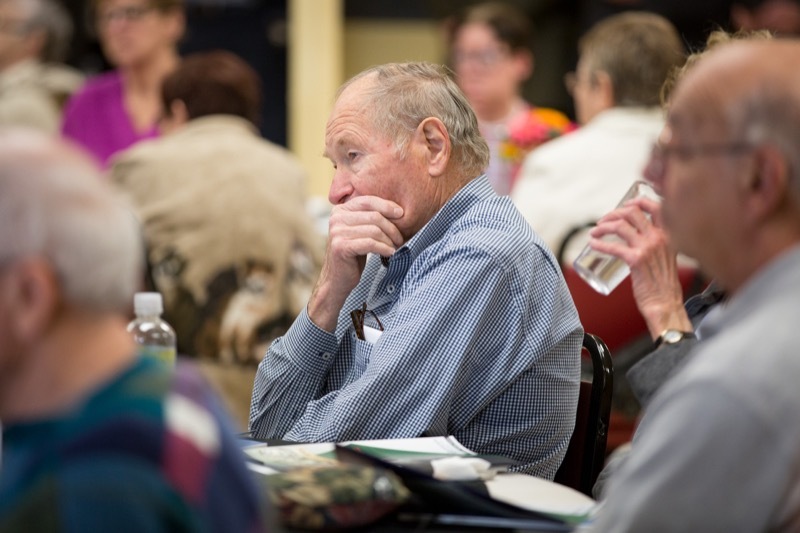 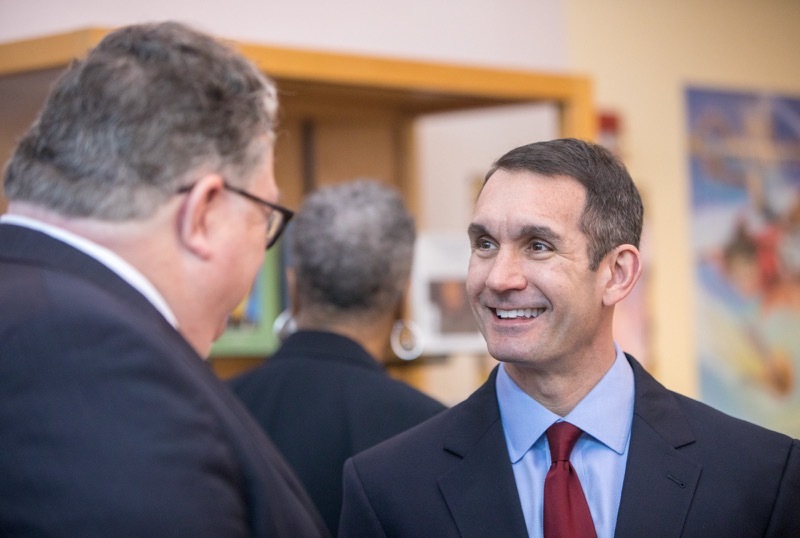 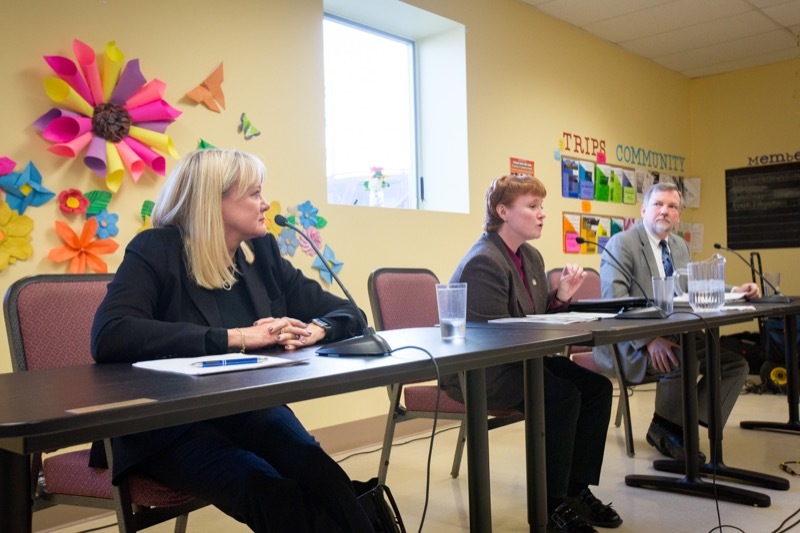 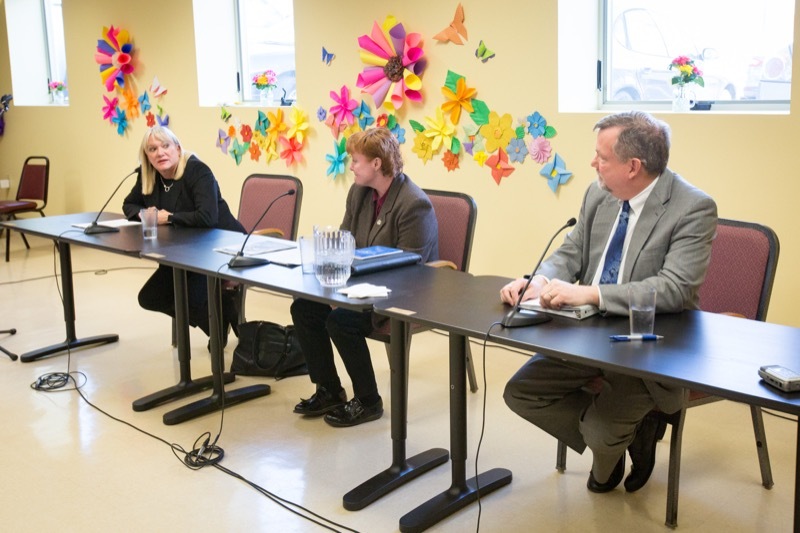 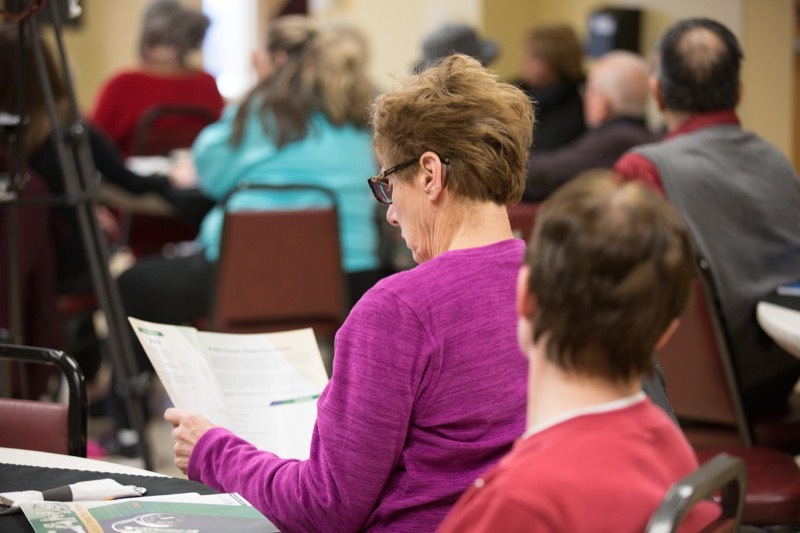 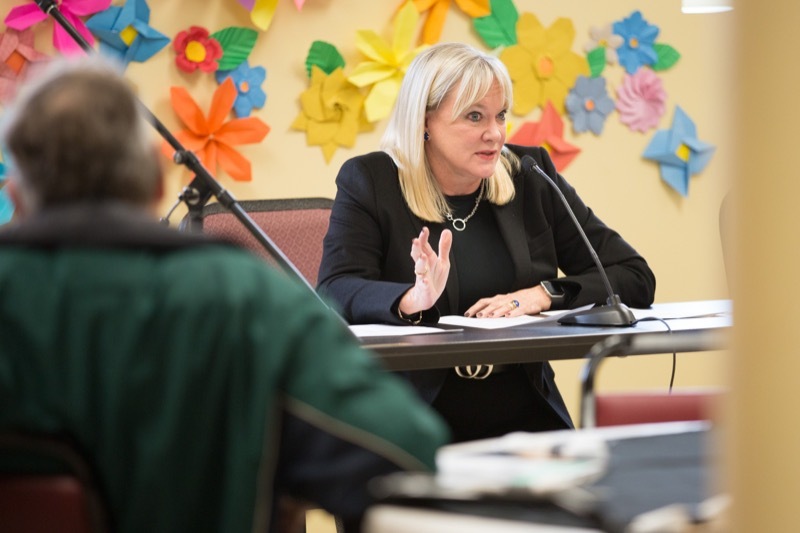 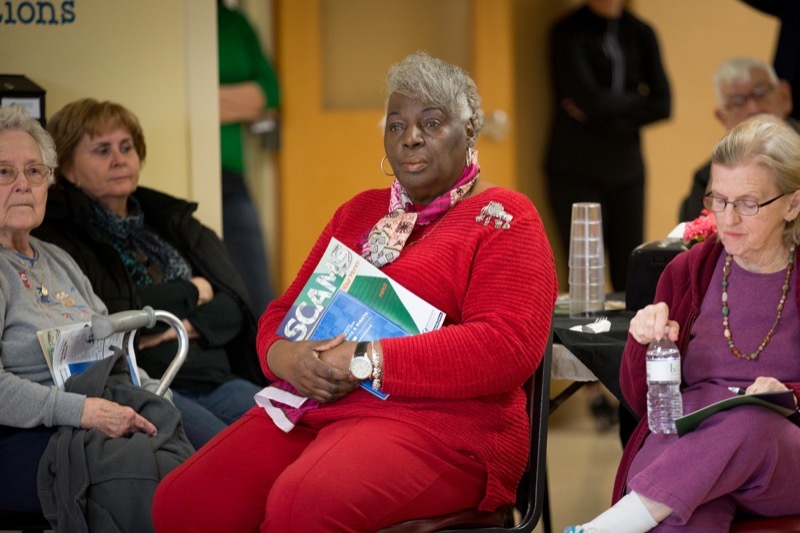 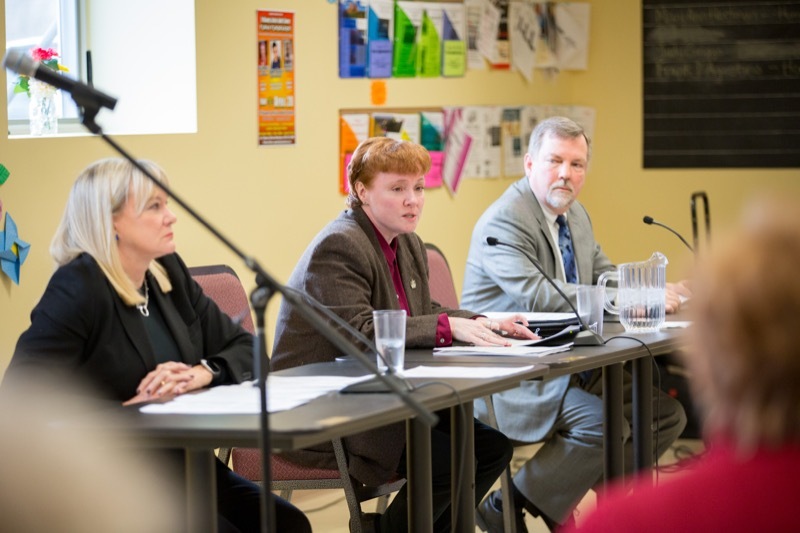 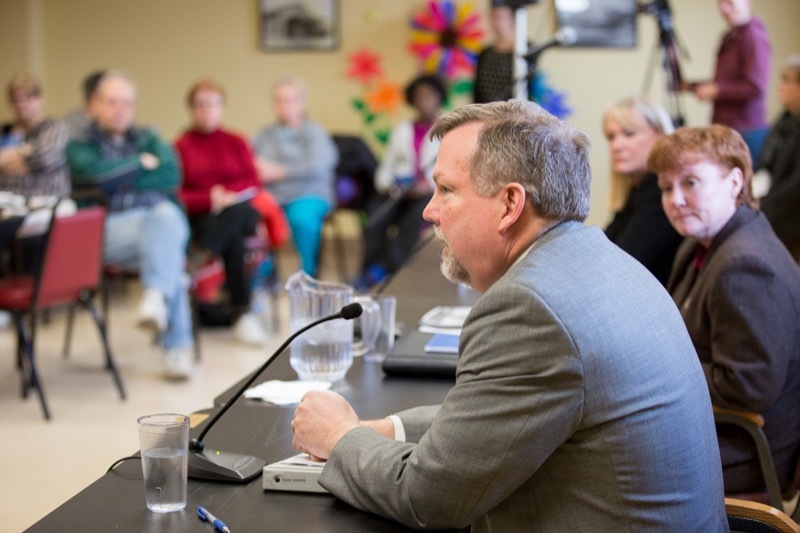 Three cabinet secretaries from the Wolf Administration today traveled to Pottstown for a community discussion on steps the administration has taken to protect older Pennsylvanians from scams and financial exploitation.